In Almolonga, Guatemala, in March, Dr. Patricia Dorn and her parasitology class from Loyola University spent time teaching residents how to make their houses “kissing bug”- proof. According to Dr. Dorn, the class worked on a house inhabited by a 75 year-old widow. 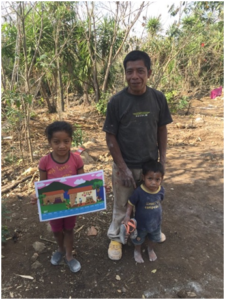 “We improved her house and the students were able to see how the people here live,” recounted Dr. Dorn who works in partnership with other universities and KFWH to prevent the spread of Chagas disease. Their team is working on a film that documents their work in Guatemala. A calendar was distributed to the villagers as a reminder of the work toward Chagas disease. 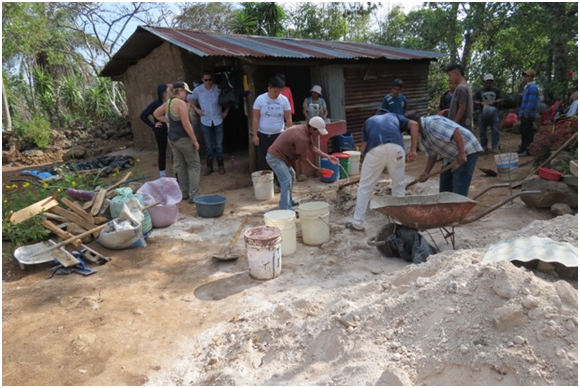 KFWH supplies money for paint, cement, chicken wire, and personnel for the project.